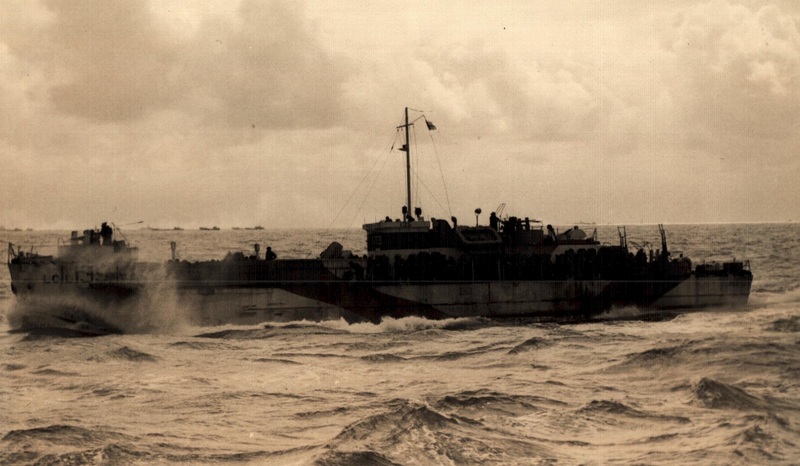 LCI(L) 135, like most of the landing craft of the Canadian 262nd Flotilla, was damaged by submerged obstacles as it approached the beach. 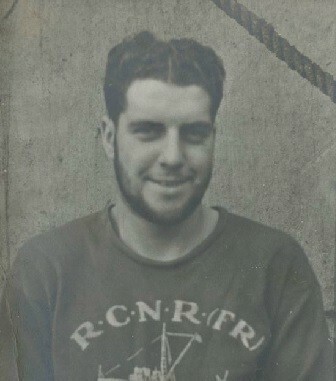 Robert Marsh, a gunner on one of LCI(L) 135's Oerlikon cannons, photographed his vessel high and dry on the shore west of Bernières-sur-Mer after it had to be beached to prevent it from sinking. The twin ramps that allowed close to 200 Canadians of the North Nova Scotia Highlanders to disembark quickly (centre left) are still down. 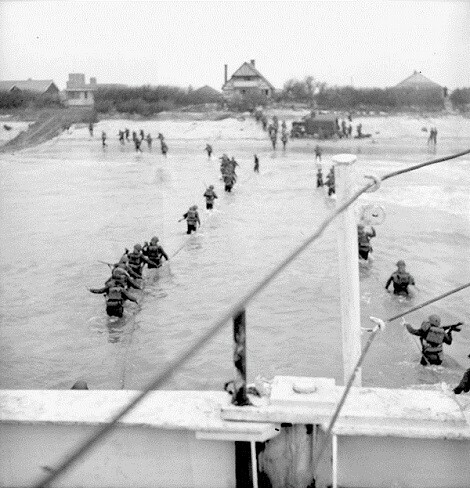 After hasty repairs, 135 pushed off the beach when the tide came in later that day. 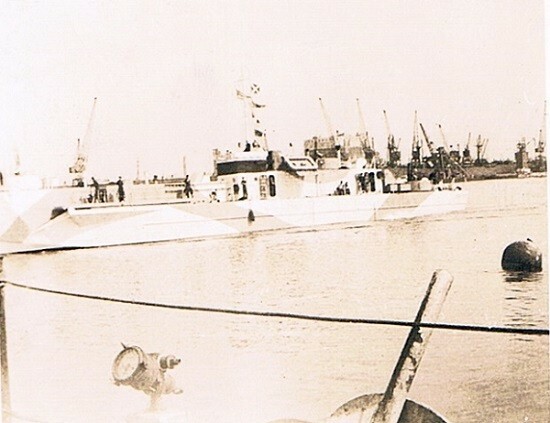 LCI(L)-135 was built in the USA and transferred to the RN on completion. 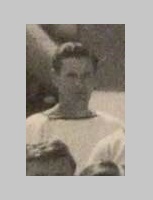 She was transferred to the RCN on 29 Jan 1944. 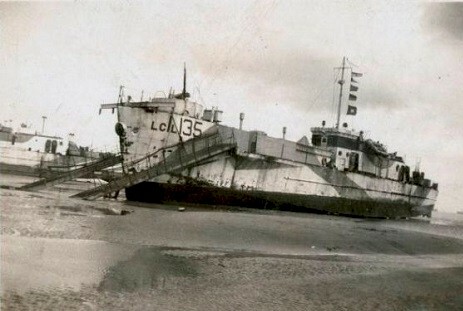 During the D-Day landing, LCI(L)-135 was damaged by submerged obstacles and had to be repaired on the Normandy beaches so she could leave with the tide and return to England. On 02 Sep 1944 she was paid off and returned to the RN, being returned to the USN on 14 Mar 1946.